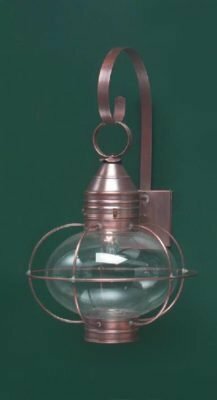 First & foremost, Hammerworks Cape Cod Colonial Onion Wall Lantern RG12 offers the perfect lighting solution. 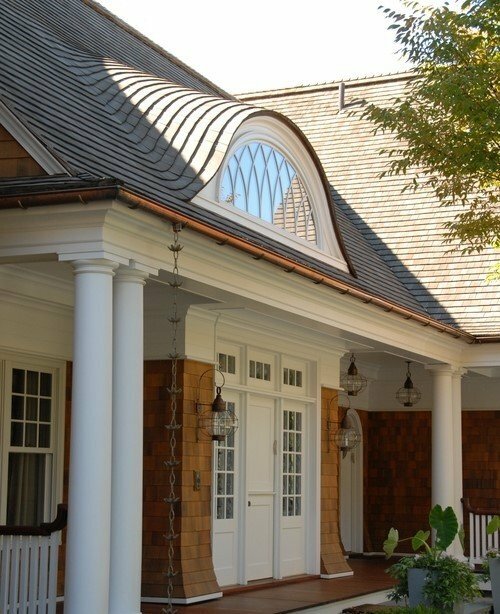 Therefore, if you are searching for exterior Colonial Wall Lanterns for your classic Cape Cod style home, look no further! With a large 12 inch diameter clear glass round globe, these handcrafted Copper Onion Wall Lights emit plenty of illumination. Furthermore, the solid copper or brass construction insures that these charming Colonial Onion Lights are durable and long lasting. In addition, choose from the standard single medium base bulb or an optional light cluster for this attractive Onion Wall Light. Many times our customers choose to add Classic Colonial Onion Lights throughout their landscape design project. 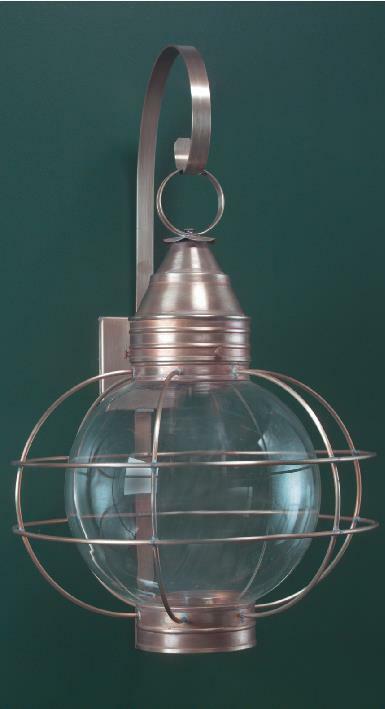 Therefore, we offer not only onion wall fixtures, but Onion Post Lights and Hanging Copper Onion Lights. Consequently, you can purchase Colonial Onion Post Lanterns PRG12 to complement your RG12 outdoor sconces. In addition, if you need overhead lighting the Hanging Onion Lantern HRG12 is perfect. Thus, no matter the size or style you’ll find all of the onion lights for your project. 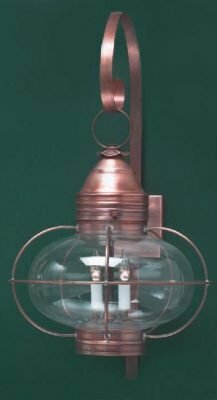 Shop with confidence, and buy from a trusted name in superb quality handcrafted period reproduction lighting. Of course, with its simple classic design your onion wall light contrasts easily with any of our Colonial Post Lanterns. 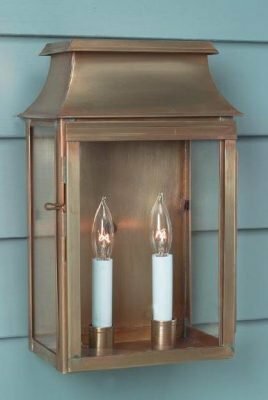 Thus, if you just have to have a reproduction Colonial Boston Post Lantern P103 in front of your home, rest assured that the combination will be a winner! Perhaps the primitive look of the Cape Cod Copper Post Lantern Pyramid PP119 is what you have in mind? Either way, you can’t go wrong! So simply choose your preferred genre- traditional, classic, or rustic. You will find these and more when you browse our collection of handcrafted post lanterns.